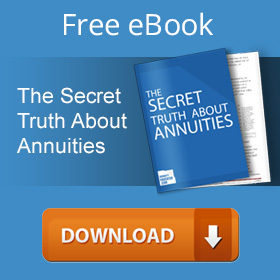 So, what do all annuities have in common? Protection from market risk. Annuities guarantee financial stability of your investment against instability of the stock market fluctuation. Your principle investment is not going to incur any loss when the stock market is down, like stock market investments do; you are guaranteed to earn interest and your principle will grow as interest is accumulated, producing compound interest. Many stock market investors assume that “stock market will eventually bounce back”, but you might find yourself in a situation when you don’t have time to wait until your stock market investment recovers after a big market loss, especially if you need immediate funds to supplement your retirement income or to have a stable income while enrolled in college, disabled or unemployed. Relatively large investment. Annuities require that you surrender large amount of liquid funds for a prolonged period of time. You can rollover your savings from various sources, such as IRA account, employer sponsored retirement plans (such as a 401k, 457 or 403b plan), your savings or money market account, but the total recommended investment amount is usually $50,000 and up, however there are a few annuity plans that start as low as $3K. Usually you are required to surrender the total amount upfront, but some plans allow you to add additional funds later. Keep in mind that the larger is the amount you invest, the better deal you can get on the interest, especially with fixed annuities. Deferred taxes. You are not required to pay annual income tax on dividends, interest, and capital gains credited to an annuity account until you choose to take a withdrawal, and then only the withdrawn sum is taxable. What are the advantages of this tax deferral? With regular stock market investments, you would have to pay taxes annually; with annuities this amount will stay on your account and earn additional compound interest during entire term of your contract. If you use an IRA account or other tax-deferred retirement plans (such as a 401k, 457 or 403b plan) to invest in stock market, taxes are also deferred, but IRA and retirement plans have an annual limit on contribution. Total contributions to all of your traditional and Roth IRAs in 2015 and 2016 cannot be more than: $5,500 ($6,500 if you’re age 50 or older). Some people don’t qualify for IRA and don’t have a retirement plan sponsored by employer. There are also several income sources that don’t qualify for contribution to IRA and tax deferred retirement plans, such as income from life insurance, child support, individual disability income insurance, investment income, some forms of foreign earned income, income from some pensions and annuities, etc. In case you were wondering, there is no income tax on transferring funds from your other tax-deferred retirement savings (such as IRA and 401k) to fund qualified annuity plan. If you plan to use your annuity as source of supplemental retirement income, it is very likely that in the future you will pay significantly less tax on your monthly annuity withdrawals, as you may be in a lower tax bracket. Surrender period. Surrender period is the amount of time an investor must wait until he or she can withdraw funds from an annuity without facing a penalty. This is very similar to cashing out CDs before the end of the term. Usually, the longer is the surrender period, the better interest deal you are offered, with this in mind you should think about how soon you will need all of your money back. The surrender period can be anything from 3 years to 14 years, and there is also a full surrender. Full surrender means that you in exchange for your lump sum you receive certain amount of monthly retirement income, usually for as long as you live. Most annuities allow you to withdraw either your interest earnings or up to 5-10% per year without a penalty, however the withdrawals might be subject to your annual income tax. This is pretty much where the similarities between various annuity plans end, as there are many other factors that vary from one type of product to another. Just try to search on line for “types of annuities”, every website has a different answer. “There are two types”, “there are three types”, “there are four basic types”, “there are many different types”… After the basic classification of annuities was created, some new types of annuities emerged over the years; many products today are hybrid combinations of different annuity types. The truth is, there are several factors that make each annuity unique and difficult to compare to others, they differ in risk, in the way the gains are calculated, in the way funds are distributed. 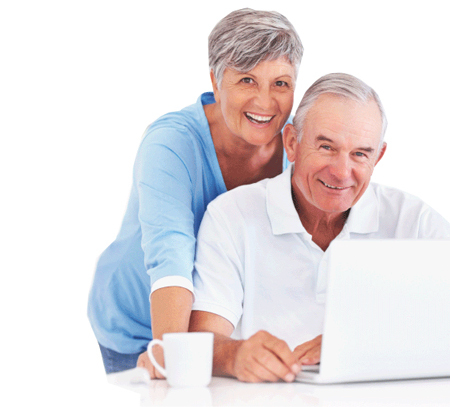 In fact, with some companies, you can request a custom annuity product tailored to your specific needs. For example, you can choose a benchmark index to be used in the calculation of your interest rates, or you can choose to dedicate separate portions of your annuity investment to grow interest in different ways. You might feel a bit lost at this point, but it will be all explained later, or you can just request a free one-on-one consultation with a qualified annuity advisor who will be able to answer all your questions. How do annuities differ from one another? When Is the Best Time to Start Receiving Social Security Benefits? Why and how to save for retirement. Retirement Income Planning.